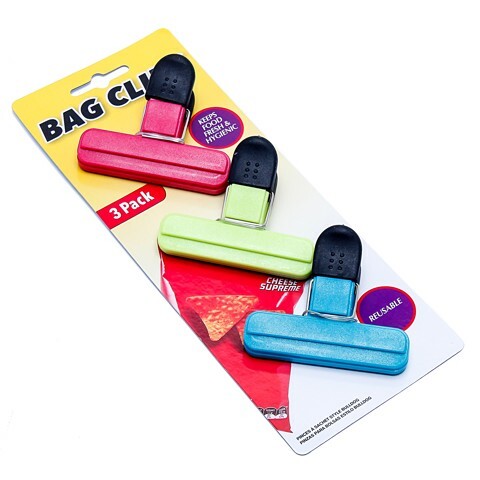 Bag Clips Bulldog Style 3Pc. 7.5(L) x 6(H)cm. Available in 3 Assorted Colours Per Pack: Dark Pink | Lime green | Blue. ABS Plastic. 82G Packaging: Backing Card.